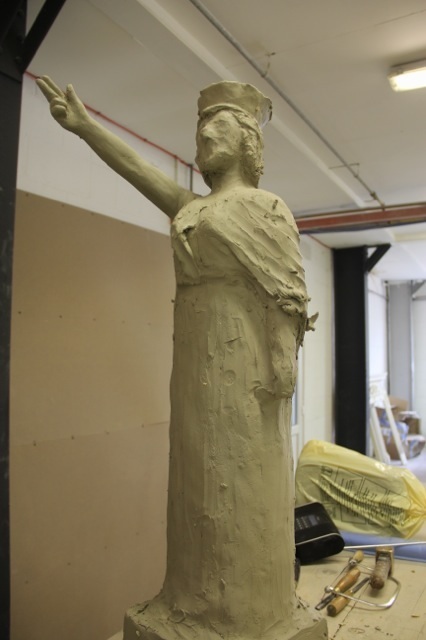 Horndean Parish Council are working hard to secure the last £15,000 funds required to restore the Horndean Village war memorial to its former glory with a 6 foot tall statue to replace the Goddess Nike (Goddess of Victory) that was damaged in a car accident in 1964. The total required for this project is £35,200 so the Parish are well on the way with further grant funding still to be decided. The Parish Council expressed sincere thanks for the extreme generosity of members of the community and businesses. In the meantime the stone block has been hand picked from Jordans Mine in Albions Quarry, Dorset. 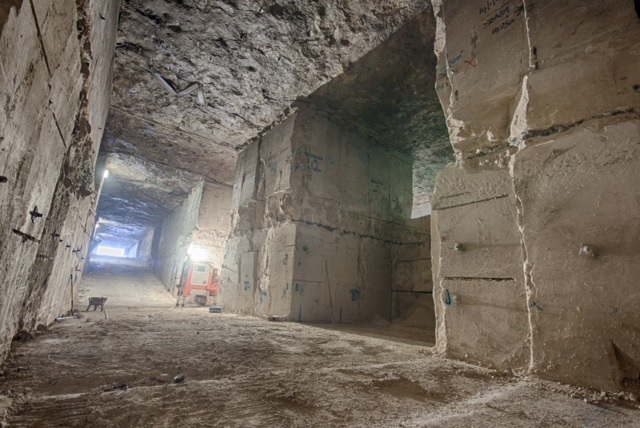 This is a below ground quarry where the Portland Stone has the least imperfections. The photo below shows where the stone has been sourced. In the meantime the 1:2 scale Marquette (a clay model) is taking shape with Rotherhams of Selby Moor who are a renowned family firm established in 1927. 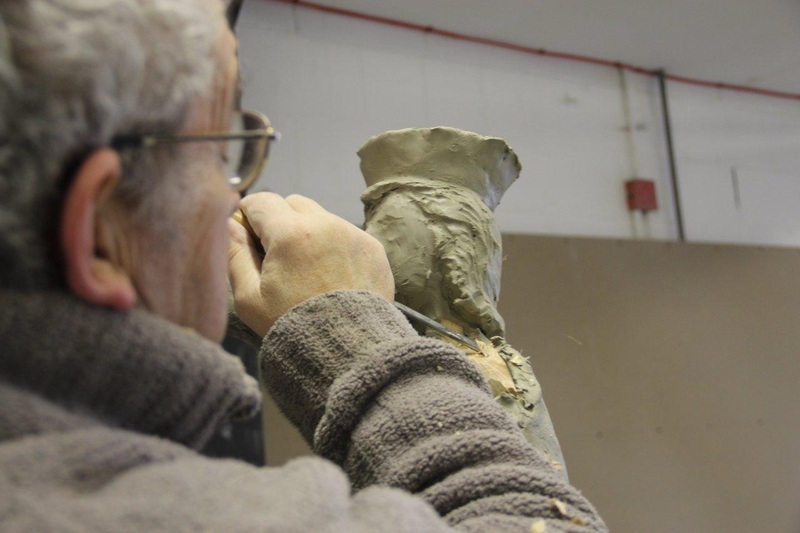 Jose Sarabia, a skilled statue modeller is crafting the model from historic photographs retrieved from archives, postcards and local collections from historians. The model is made out of wood and clay, and once complete and approved will be used by a robotic cutting machine to create the full size statue in a process taking about 21 days. The clay model will be brought to Horndean for approval prior to making the full size statue. This is expected to be in the middle of April, and will be on display at Merchistoun Hall for a few days. The model will take 6 weeks to make in all, and over the next month the final detail will start to be crafted in. Over the next week Sara will be writing to local businesses to seek further support. Cllr Sara Schillemore is leading the project for HPC and as well as speaking to interested donors is also very keen to locate any photographs of the men named on the memorial. It is rumored that she has managed to rustle up a Spitfire for the dedication ceremony which will be Sunday the 20th July 2014 at 15:00. Horndean Parish Council are delighted that The Lord Lieutenant of Hampshire, Dame Mary Fagan, will be attending along with the Arch Deacon of Portsmouth, Cannon Joanne Grenfell. Please visit http://www.horndeanvillage.co.uk which is dedicated to this project and further details are uploaded regularly by The Mayne Design, a local web design firm who are sponsoring the website with their time.